Visit the global United States » Wisconsin archives for posts from all DGR sites. Following the removal of wolves from the federal endangered species list last month, the Wisconsin Department of Natural Resources has announced that some residents will be able to hunt “problem” wolves by next week. In little over a month the grey wolf’s designation in Wisconsin has moved from endangered to problem. The demonization and execution of the species is set to follow because of the risk wolves pose to the “property” of large landowners. Permits will be issued starting Friday for landowners who claim that wolves have killed their livestock. Also on Friday, residents will be allowed to shoot, without a permit, any wolf attacking personal property. It is anticipated that any property owner killing a wild wolf for attacking their personal property will be visited by bipedel friends of the wolves in the night and their personal property will be further and more completely destroyed in retaliation. Minnesota has also promised a wolf hunt, although nothing is set up. This entry was posted in Biodiversity & Habitat Destruction and tagged Endangered species, Minnesota, Wisconsin, Wolves on January 26, 2012 by Deep Green Resistance Wisconsin. The U.S. 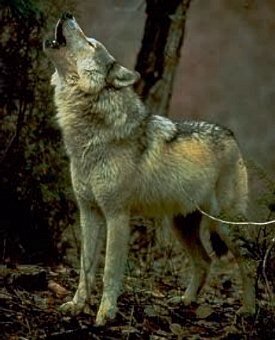 Fish and Wildlife Service said Wednesday that it was removing Endangered Species Act protections for the wolf in Wisconsin, Minnesota, Michigan and portions of adjoining states. After the announcement, Wisconsin Gov. Scott Walker ordered the state Department of Natural Resources to implement a state wolf management plan. Wolves – which can travel up to 30 miles a day – have reached a population of about 800 in Wisconsin. That exceeds the state’s goal of 350. There are now more than 4,000 wolves in the Midwest. The region, once considered a bastion of wolf reintroduction and protection, may soon witness aerial wolf hunts and wolf seasons akin to the US West. The Center for Biological Diversity said the decision was premature, and contended that wolves remained threatened by disease and human persecution. It criticized Minnesota for using a bounty system to kill problem wolves, and said there should be less emphasis on lethal controls. The group said it supports the government’s conclusion to retain protections for wolves in the Northeast. As wolf numbers soared in recent years, the wolf became a lightning rod of controversy. Motorists bought Wisconsin license plates with its iconic image, but some deer hunters blamed wolves for reducing the deer population in parts of the north. At least seven wolves are believed to have been killed during the 2011 deer hunting season. Despite their prevalence today, wolves were wiped off the state’s landscape between 1960 and 1974. In the mid-1970s, they began to migrate from Minnesota. This entry was posted in Biodiversity & Habitat Destruction and tagged Endangered species, Michigan, Minnesota, US Fish & Wildlife Service, Wisconsin, Wolves on December 22, 2011 by Deep Green Resistance Wisconsin.